While Vanilla Ice isn't poised for a comeback, BlackBerry is.RIM's shares continued to rise on Wednesday, setting a 7 month high at $13.31 for a 5.63% gain on the day. Meanwhile a RIM spokesman had some good news for RIM investors when he said that the U.S.Immigration and Customs Enforcement agency (ICE) will be testing the new BlackBerry 10 platform. What makes this interesting is that ICE had originally announced that it was switching from BlackBerry phones for its employees to the Apple iPhone. That decision made back in October, affected 17,600 employees and was said to be worth $2.1 million in new handset orders for Apple. At the time, an ICE spokesman said that BlackBerry smartphones "no longer meet the mobile technology needs of the agency." Will this device end up on ICE? But early next year, ICE will begin a pilot program using the new BlackBerry 10 handsets and the BlackBerry Enterprise Server 10. The latter lets government users and corporations run new devices on their networks. Major corporations and government agencies have been loathe to switch from BlackBerry to other platforms because of the security inherent on BlackBerry devices. But others felt that the Apple iPhone and Android handsets offered a much better user experience with many more features than BlackBerry. RIM says the new devices will still have the same great security in addition to running smoother and faster than currently available BlackBerry models. It is unknown what ICE intends to do with this pilot program. 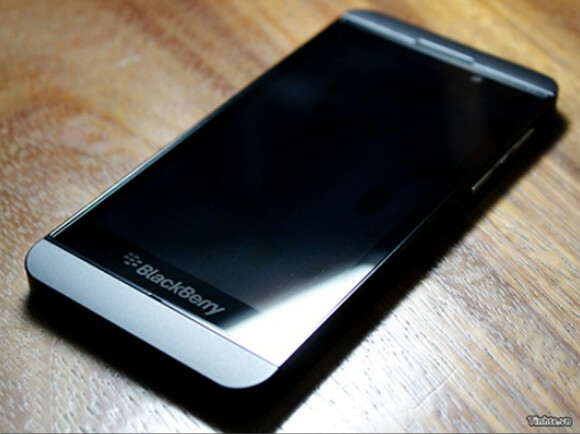 There is some speculation that it will use BES 10 to manage both BlackBerry 10 and Apple iPhone handsets. Meanwhile, the rally in RIM's stock on Wednesday occurred when long time bear Eric Jackson (the founder of Ironfire Capital), reversed his position and became bullish on the stock, forcing some short-covering. Oh boy, that phone looks just like iP5 minus the home button!! That nowhere resemble no iphone.. That's a blackberry son. I know father, there's a Blackberry written on it. I'm pointing out what it looks like. What are you talking about?? The only way to distinguish it from iPhone 5 is that, it's got "Blackberry" stamped on it. Didn't Apple patent a wider top/bottom bezel to narrow right/left bezel ratio already; this is definitely an iNfriNgement on Apple's Intellectual Property: LAWSUIT!!!! Plus, there is the speaker bezel at the top. Otherwise, except for the BlackBerry lettering, it could easily be confused for the black iP5. Hmm, that phone looks more like the Droid X/X2 to me as I have that phone on hand and the it looks just like it on the front minus the physical buttons and the camera hump on the back. I have to agree with Nathan - the new BB is looking close to the iP5. The difference is small - no home button on the BB and the BB has its name spelled out and there is the speaker grill at the top. Otherwise, a casual observer could easily confuse the BB for an iP5. I hate to agree Nathan but I have to >. We aren't talking about all Americans, only those who would confuse the BB10 phone for an iPhone. I can just imagine a hearing in front of Judge Koh and the Judge places the BB10 phone on the table next to the iP5 and invites counsel for RIM to pick which is which from where they are sitting. Somehow, if iApple sues, I suspect they will be getting an iNjunction. They just did...and painted the town red! But for one reason, i don't know why, i feel it's not just BB fans alone that is painting it!! The PA troll community prides itself on being equal opportunity trolls. On to RIM's press release about ICE.... ICE are not canceling their procurement of iPhones. They are going to do some pilot testing of the BB10 phones with the BB10 server software. IF (and that is all it is - IF) the BB10 phones and server software meet the requirements, ICE will consider BB10 phone for future acquisitions. I think the biggest hurdle for RIM is how easily and transparently the iP5 can secure its contents (AES256 level encryption without the requirement for the user to manually de-crypt and then encrypt every time they use the phone). Time will tell, though. RIM has to meet the 1Q2013 release date with no botched release. 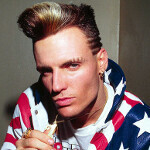 Personally, I think Vanilla Ice's hair-do has better chances of making a comeback. And, it probably has better encryption! !